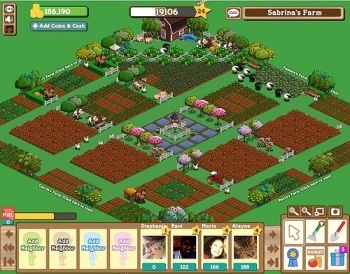 Zynga, the game development company best known for social games like Farmville and Mafia Wars on Facebook, has been targeted by a class action lawsuit over allegations of misleading advertising. Both Zynga and Facebook itself are named in the suit, which is seeking roughly $5 million in damages for their use of "false and misleading special offers" which have helped generate "enormous" profits over the past four years. The ads in question promise free in-game currency or items to players but in fact end up costing them hefty charges through cellphone subscription services or mail order products. The plaintiff in this case, Rebecca Swift, first provided her cellphone number to a Zynga advertiser in April so she could be sent a code for "Yocash," the currency used in the Zynga game Yoville. She claims that while she wasn't told that there would be any charges applied to her account, she was billed $9.99 four separate times, beginning in April, "without her knowledge or consent." Then in June she answered an advertisement for a "risk-free Green Tea Purity trial" while playing the same game, providing the advertiser her debit card number and agreeing to a $5.95 shipping charge. However, although she was informed that she could cancel the trial anytime within 15 days, her attempts to cancel apparently failed; she was ultimately charged over $165 for two shipments of green tea pills and tea bags which she has thus far been unable to recover. "Most, if not all, of the online advertisements presented through Zynga are scams. The advertisements are highly misleading and often result in users subscribing to goods or services they do not want or need," the suit says. "Consumers who attempt to cancel services or obtain refunds are then met with roadblocks designed to thwart cancellation and/or refunds or otherwise 'save' the customer." Allegations of impropriety in so-called "lead gen" offers were first raised by Michael Arrington of TechCrunch, who alleged that the ads were "completely unethical" and tricked consumers with false promises. Offerpal CEO Anu Shukla's spirited defense of the ethics of her business at the Virtual Goods Summit in San Francisco was met with cheers from the audience but less than a month later it's hard to argue that Arrington wasn't on to something - a point bolstered by a video clip of Zynga CEO Mark Pincus admitting, as Allen Varney noted in the article "An Offer You Can't Refuse" in last week's issue of The Escapist, that he did "every horrible thing in the book" to generate quick revenues for his company.